focused on Journals and Planners. 3.5"x 5.5" field note journals. 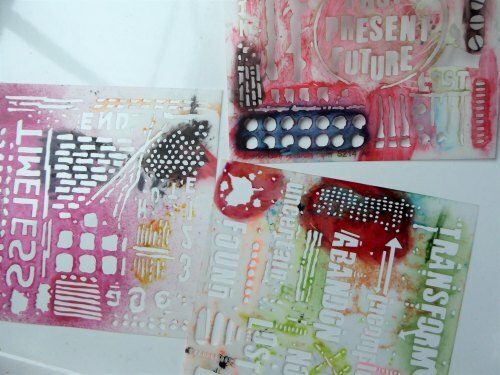 so they are ready and waiting for me! 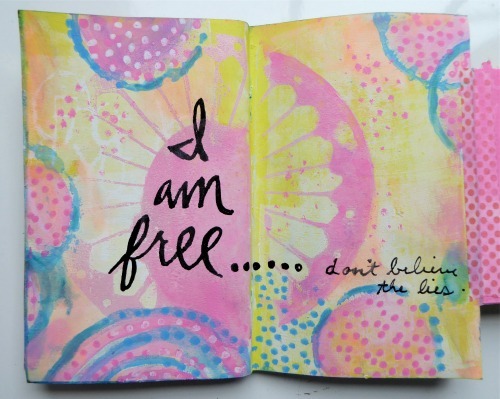 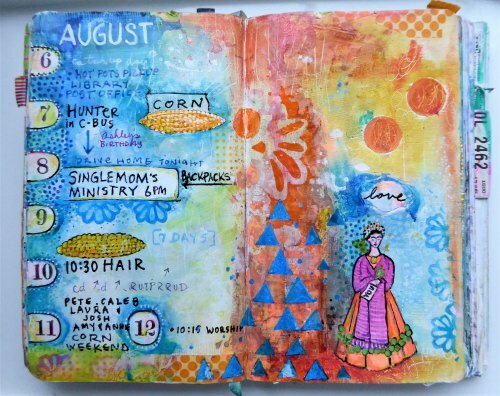 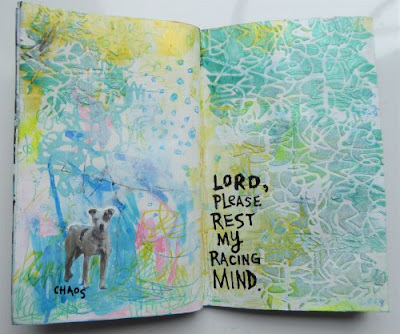 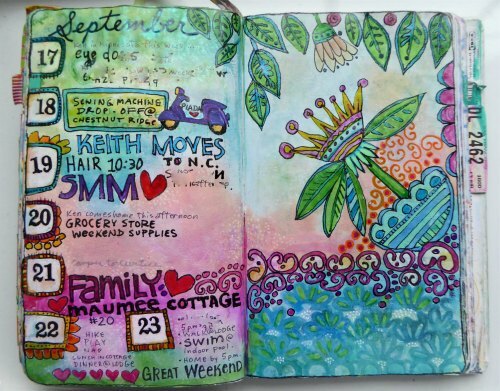 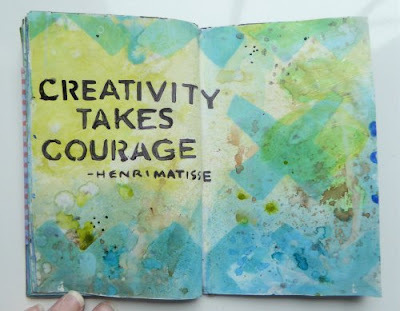 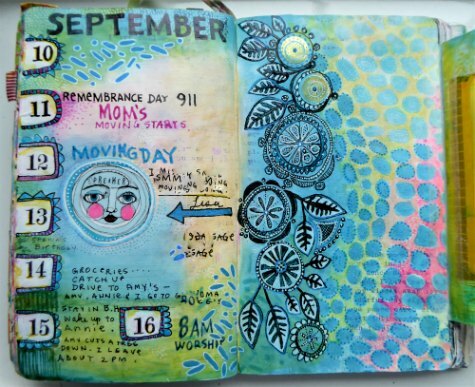 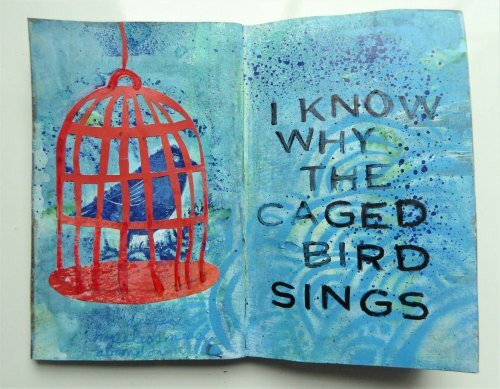 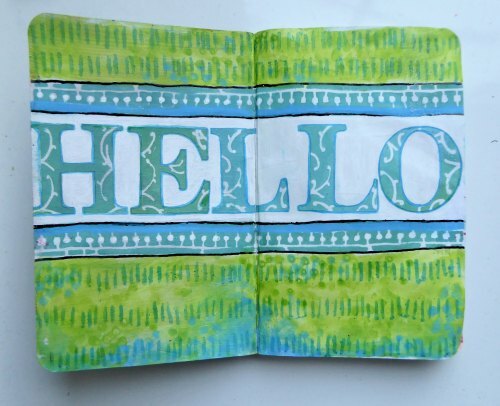 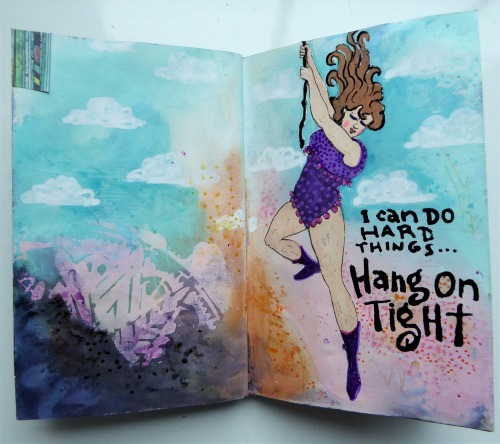 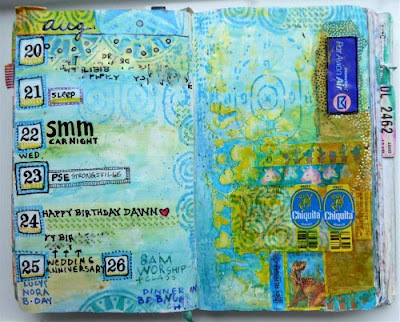 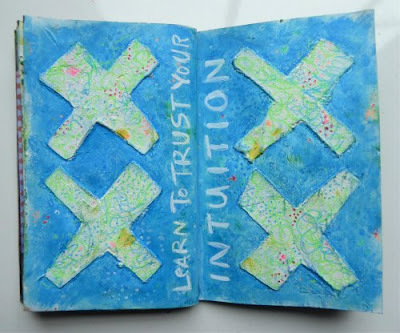 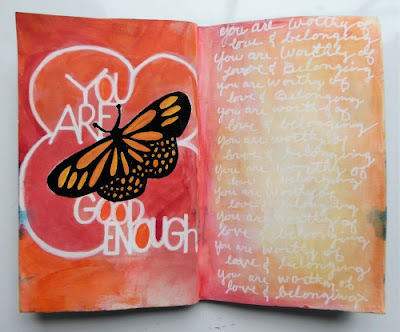 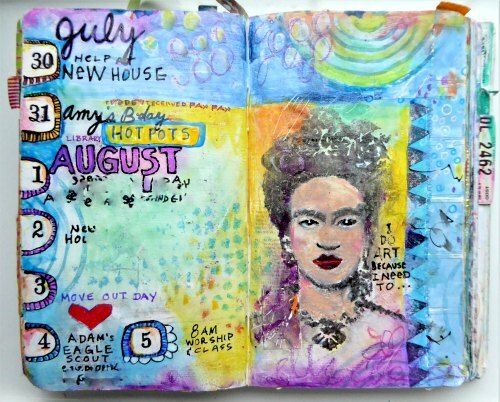 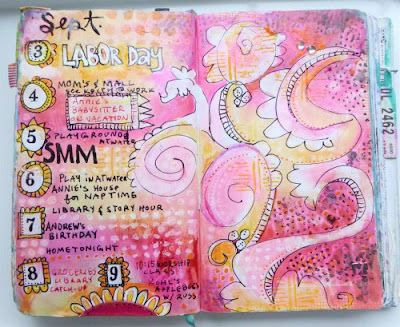 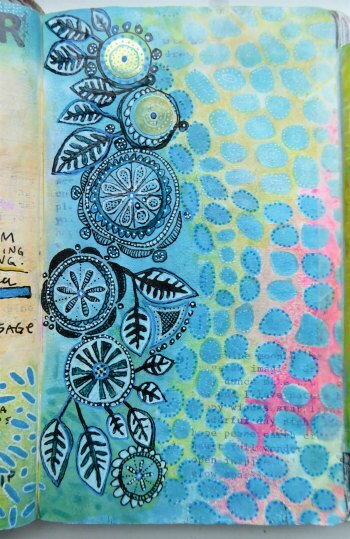 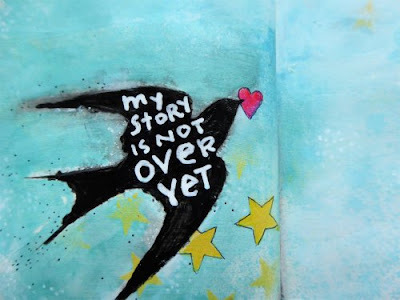 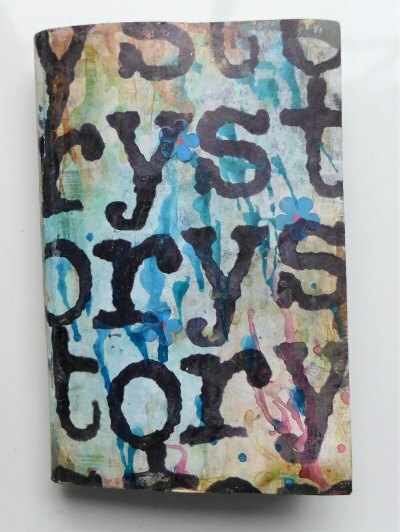 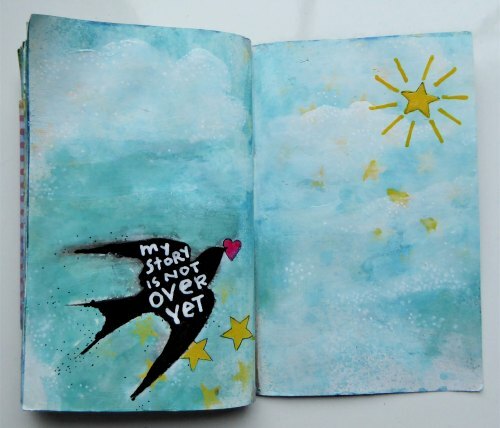 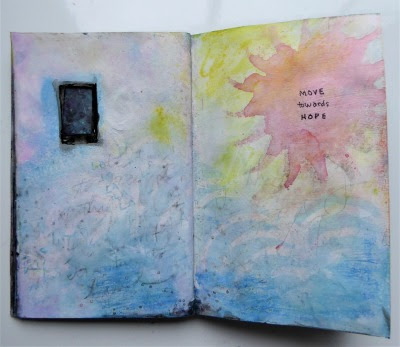 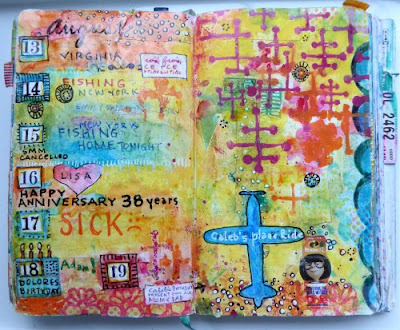 I belong to the Get Messy Art Journal community. Art Prompts are given in two month "seasons". for my 'Season of Story' Art Journal. 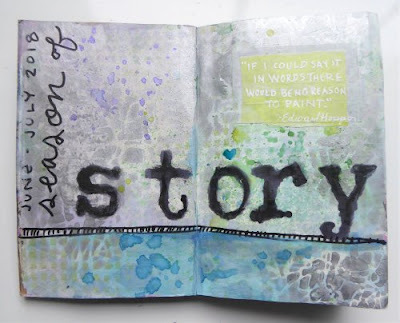 Art is an excellent way of telling your story. 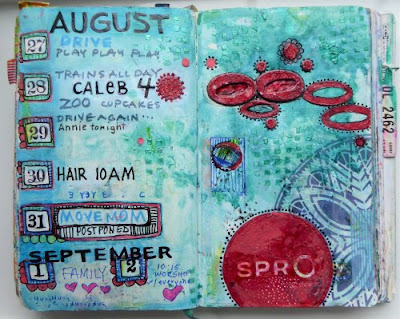 I love my Get Messy Community. And here are the last several weeks in my Art Planner. I love the textures on Seth Apter Stencils. 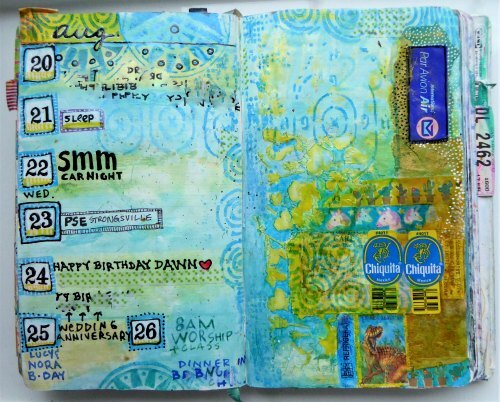 I used bits and pieces of S214, S216 and S305. 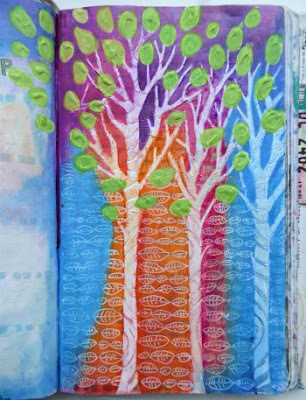 Nice work - thanks for sharing!